Money is the number one source of conflict and angst in marriages. Even though money itself is just energy in exchange, it stirs up a lot of emotions in people, especially fear and worry around not having enough. Should you give your child everything on their wish list? Don’t you loving reading kid’s wish lists or letters to Santa? It’s so easy get a picture of what the child is like and what his interests and priorities are. 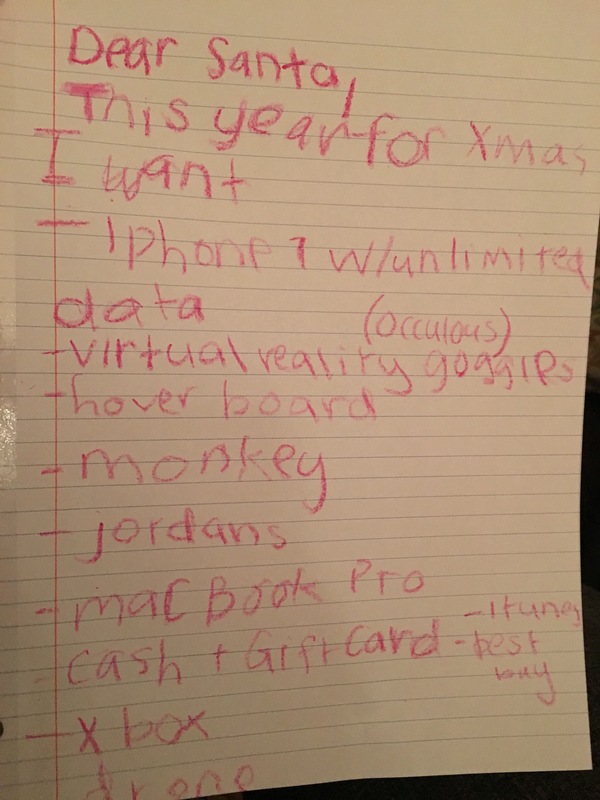 If a kid can’t create a wish list, it’s a warning sign of low self worth and depression. It is SO important for kids to be able to ask for what they want, and believe they are worthy of receiving it. As parents, our desires often get buried under the daily to-do list and we lose touch with what we really want. The feeling of yearning, of wanting, is very valuable and I’m often coaching my clients into reconnecting with this feeling. We need it to know who we really are and what’s next for us. It provides us a road map for our life. WANTING is wonderful, but you might want to read this before indulging your child in all of their desires. None of us wants to create entitled kids but we all want to see our children happy. Watching their face light up when they open that gift they were so hoping to receive is OUR reward for all the hard frickin’ work! Let’s start by admitting that giving kids what they want is about US, wanting to make our kids happy so we can be happy. What creates the “omg this is the best present ever” moment we all crave, is when the child is hopeful, but doubtful. It’s the surprise element that helps the child feel loved, seen and heard. If you always buy your child everything on their list, they lose the surprise and appreciation. Then, opening the gift just turns it into a checklist. When children expect to receive everything on their wish list, it changes from a “this is my heart’s desire and yearning” to an “here’s an errand I expect you to run for me”. Yuck. Sometimes kids want gifts just because “everyone else wants them or has them”. Games, clothes, electronics, etc. can act a social marker between kids. If the kids your child likes and wants to be friends with, all talk about xbox, your child will want to be able to speak that language, talk about the latest games or levels, and feel accepted by his peers. This is a valid reason to want something, especially during the pre-adolescent years when they are trying to establish their identity. My daughter has wanted UGG boots for years. Spending that much money on something that will make her (naturally hot) feet sweat and that she will grow out of quickly, is really hard for me. With so many better alternatives, the cost goes against my values. Helping my daughter have a sense of belonging and connection with her social group is aligned with my values, so I’m delegating to Grandmas and hope they can resolve the issue for me. Remember, Christmas is for US. We do most of the work which means we can make it whatever we want it to be. 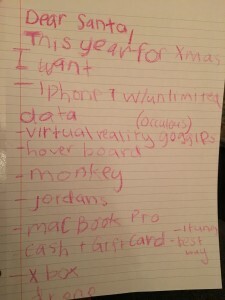 By filling their stockings with deodorant, nail clippers and socks, you can make their “wants” that much more exciting. Giving practical gifts remind them that the “magic of Christmas” isn’t about the gifts themselves but the surprise, the traditions, the togetherness and the energy of giving. So just be sure, if you are indulging your child in their desires, that you don’t do all items every year and you give them plenty of opportunity to experience yearning. There are many things that make the holidays special, make sure you aren’t sacrificing your own happiness for the sake of your children’s wish list. So what’s on your wish list Mama? Lin* was a stay-home Mom of three school aged kids. She worked from sun up to sun down, striving to do her best. Even in the summer, she made sure her kids ate healthy, organic foods, practiced piano, played outside, spoke kindly and read books. Her life was dedicated to being the best Mom she could be. She read parenting books, took parenting classes, and treated motherhood like her career. When one of her kids got a bad grade, she felt like a failure. She thought she would be rewarded for her hard work, but she’s still waiting for the praise and accolades. With no report card or performance review, Lin struggles to know if her hard work is worth the investment. Schools teach us to look to the outside for information, answers and feedback. We listen to lectures, read books, and internalize information that comes from outside sources. Then, we apply our knowledge on a test or presentation and await feedback to find out whether it was considered valuable. This system is subconsciously training us to rely on external sources for information, answers, wisdom and positive reinforcement. Danielle* was a hard worker. She put in extra hours at work, was always more than prepared for presentations and was great at follow through. She believed that if she worked hard and did a good job, she would be recognized by her superiors and rewarded. Instead she gets overlooked for promotions and while she is well-liked by her team, she believes her financial compensation is not where it should be. This week at my Girls Leadership Camp, I’m teaching the value of turning inward for information, accolades, and motivation. Big light bulbs go on when the girls get permission to listen to the answers they’ve had inside all along. Whether we call it gut instincts, inner wisdom, wise guide, or higher self, it is constantly giving us valuable information. When we turn inward for answers, we can tell if we are believing a lie, going outside our comfort zone, operating from our highest self, playing small, hiding, or avoiding. We don’t need praise or rewards, we just need to show up in our lives, and be the person we are meant to be. The only person you need to take advice from, is your future self. Imagine yourself twenty years into the future: What do you look like? Where do you live? What accomplishments are you proud of? Ask your future self any question you have, like: Should I ask for a raise? Quit my job? Put my kids in private school? What should I eat? What kind of exercise should I do? Should we move? You won’t believe the wisdom your future self can offer you, once you build a relationship with her. 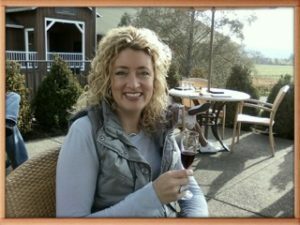 Danielle’s future self told her it was time to stop trying to downplay and minimize her efforts, and start believing in her value to the company. She got better at owning her accomplishments in front of her superiors, practiced self-confidence, and got the promotion and praise she deserved. Lin’s future self reminded her that she loved being a stay-home Mom. That she wasn’t choosing this life to create perfect kids, but because she enjoyed it. When Lin switched her focus to having the most fun possible, her kids relaxed, the stress level went down and everyone felt permission to pursue the interests they loved the most. What advice would your future self give you today? Did you buy a powerball ticket? I cannot wrap my brain around 929.9 million or however much money it is now. It’s such a ridiculous amount of money I can’t even conceive of what I would do with it. That feeling of confusion and overwhelm is how kids and teens feel amounts from $500. – $5,000. It’s hard for them to conceive it. They know money is important, some may want it, but they don’t really get how to deal with it or how to hold it in their brain in a way that makes sense. Kids learn from concrete, tangible, emotional experiences. When we swipe our phone to buy a Starbucks coffee or swipe our Apple Watch to buy groceries, they have a hard time getting comfortable about this conceptual thing called money. Even writing a series of numbers on the signup form for baseball seems strange. With cash from the tooth fairy and gift cards as birthday gifts, today’s kids have more money than ever but are they learning about how to make it feel manageable? A secure relationship with money is balanced in ones ability to spend, earn, and manage it in healthy ways. We want our kids to have a healthy relationship with money so let’s take a look at the big picture so we’ll know where to help them (and ourselves! ), improve. As you read these, see if you can place you, your kids, your parents, and partners in these categories. Spending – A secure, healthy spender feels good about their purchases. They know they have the money to pay for their item and they enjoy using it for this purpose. An unhealthy spender can either dislike spending money because it brings up fears of lack or scarcity, or they spend money easily and unconsciously, not thinking about the money at all and not enjoying the purchase after the initial high. 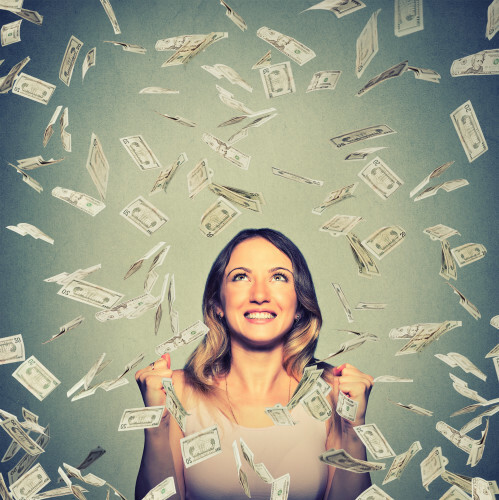 Earning – A healthy, secure earner has confidence in their ability to make the money they need to, to be comfortable in their life. An insecure earner does not believe they have the ability to earn the money they desire, or they have so much confidence in their earning ability that it becomes more important than everything else in their life, including their relationships with people and themselves. Managing – A healthy money manager knows how much money is coming and going and can look at their bank accounts with ease and understanding. There is a basic comprehension of interest rates, credit ratings, and compounding interest and a resourcefulness to ask for help when needed. An insecure money manager lives with a “head in the sand” approach, not looking or learning, or on the other extreme, may manage every penny to the micro level, missing out on the joy that spontaneity and trust can bring. So if kids aren’t seeing us interact with money, or picking up on our insecurities, how can we help them get a clearer understanding of what money is and how it works? 1.) Talk to them about money from a positive and abundant attitude. Talk about the value of your home, how much your mortgage costs, show them the bill with the PG&E tier system, how much you spend on their sport,TV, groceries, etc. Remind them (and yourself) that we can have anything we want! Money is about choices: we could buy new shoes or go out to dinner. Mom could work two jobs, but then we wouldn’t see her much. We could buy a new car or go to private school. We always have choices. 2.) Play games that teach about money. Whether it’s Lakeshore’s The Allowance Game or Cash Flow by Robert Kiyosaki of Rich Dad, Poor Dad fame. There are lots of board games and online games that help kids understand money. 3. When we don’t have our hands on real money, symbols of it are the next best thing. Giant thermometers on the wall of the school show how much money has been donated and how much we still have to go to reach our goal. These help us make the invisible seem real. Create a paper thermometer on your wall to show how close you are to reaching your money goals or use one of the MANY apps out there for a friendly way to track how your money comes and goes. I like “Mint” for setting financial goals and “Spending Tracker” to manage expenses but there are many good ones out there. 4. Stay old school. Use cash when shopping, play store with real money in the kitchen, exchange their gift cards for cash then take them to the store to spend. Use the envelope system to budget your discretionary spending. Cash clipped to a chore chart gives a concrete symbol of what kids are working towards. Kids learn about money by seeing it, touching it, talking about it, and playing with it. 5. Allow kids to have negative and positive experiences with money. Emotions are a great teacher and it’s important to let kids make their own mistakes. If they loan money and don’t get it back, they’ll never do that again. If they leave money laying around their house or hanging out of their pockets, and it disappears, oh well. Losing money is what teaches kids to value it. Have them create a list of things they want to buy or do. Wanting things that require money, teaches them to value it.